These Terms & Conditions apply to the Freedom From Addiction website, FFA’s mobile applications and FFA’s social media (collectively the “FFA Website”). As used in these Terms & Conditions, “FFA”, “us”, or “we” refers to Freedom From Addiction Services, Inc. and its subsidiaries and affiliates. The FFA Website provides education about addiction and treatment. By calling the telephone number listed on the FFA Website or use our Live Chat feature, you will be connected with a third party treatment center that may be able to help you or a loved one. We are not responsible for your communications with third parties. If you have an emergency, call 911. By accessing or otherwise using any ffa website, any ffa mobile application or any ffa social media application, you agree to these terms & conditions in their entirety. Any person or entity who interacts with the FFA Website through the use of crawlers, robots, browsers, data mining or extraction tools, or other functionality, whether such functionality is installed or placed by such person or entity or a third party, is deemed to be using the FFA Website and bound by these Terms and Conditions. If at any time you do not accept all of these Terms & Conditions, you must immediately stop using all or any part of the FFA Website. Certain areas within the FFA Website, including mobile applications and social media applications, may be governed by additional terms (“Additional Terms”). By using those areas of the FFA Website, you agree to the Additional Terms. The Additional Terms are incorporated into these Terms & Conditions, and any reference to these Terms & Conditions includes the Additional Terms. All right, title and interest in the FFA Website, including all copyrights, patents, trade secrets, trade dress and other proprietary rights, and any derivative works thereof, shall belong solely and exclusively to FFA or its licensors. Nothing in these Terms and Conditions or otherwise will be deemed to grant to you an ownership interest in the FFA Website, in whole or in part. All content included on the FFA Website, such as text, graphics, logos, images, button icons, audio clips, video, photographs, data, software, and other material (collectively “Content”) is owned or licensed property of FFA or its licensors and is protected by copyright, trademark, patent, trade secret or other proprietary rights and these rights are valid and protected in all forms, media and technologies existing now or hereinafter developed. All Content is copyrighted as individual works and as a collective work under the U.S. copyright laws (17 U.S.C. Section 101, et. seq.) and international treaty provisions, and FFA owns a copyright in the selection, coordination, arrangement and enhancement thereof. Text Messages: You may be given opportunities to subscribe to various text marketing or other text messaging programs and by doing so, you consent to receive ongoing text alerts (including by auto-dialers) from us related to our various businesses and affiliates, which may include co-promotions with or about other parties, except that if the scope of your consent for a particular subscription is limited that subscription will be so limited. For each subscription, text “HELP” for help and text “STOP” to terminate (i.e., opt-out) of that subscription. Subsequent or different subscriptions will be unaffected by an opt-out. You consent to receive a text confirming any opt-out as well as non-marketing administrative or transactional messages. Alerts auto-renew unless otherwise specified when you consented. Your consent to receive text messages is not a condition of purchase, and no purchase is necessary. You understand that we will send mobile text messages using automated technology. If you subscribe to text messages you represent that you are 18 years of age or older, or have obtained parental consent. Standard message, data and other fees may be charged by your carrier, and carriers may deduct charges from pre-paid amounts or data allowances, for which you are responsible. Contact your carrier for details. Not all phones and/or carriers are supported. We are the sponsor of our text messages and may be contacted regarding them at Privacy & Terms. E-Mail Messages: You may cancel or modify our e-mail marketing communications you receive from us by following the instructions contained within our promotional e-mails. This will not affect subsequent subscriptions and if your opt-out is limited to certain types of e-mails the opt-out will be so limited. Please note that we reserve the right to send you certain communications relating to your account or use of our Service, such as administrative and service announcements and these transactional account messages may be unaffected if you choose to opt-out from receiving our marketing communications. Push Notification and Wireless Features: The FFA Properties may offer certain other features and services that are available to you via your wireless device. These features and services may include the ability to access features from and upload content to our service, receive messages from our service, and download applications to your wireless device (collectively, “Wireless Features”). If the FFA Properties include push notifications or other mobile communication capability, you hereby approve our delivery of electronic communications directly to your mobile device. These notifications, including badge, alert or pop-up messages, may be delivered to your device even when it is running in the background. You may have the ability, and it is your responsibility, to control the notifications you do, or do not, receive via your device through your device settings. Standard messaging, data, and other fees may be charged by your carrier to participate in Wireless Features, for which you are responsible. Fees and charges may appear on your wireless bill or be deducted from your pre-paid balance or data allowances. Your carrier may prohibit or restrict certain Wireless Features and certain Wireless Features may be incompatible with your carrier or wireless device. Contact your carrier with questions regarding these issues. The FFA Website allows you to submit reviews, comments, opinions and other communications, photos, videos, or any other content (“User Content”) through or to the FFA Website. These posting do not reflect the opinion of the staff at FFA, its executives, or its shareholders, and are not endorsed by FFA. While we make efforts to review and moderate User Content in order to remove objectionable material, we do not purport to be able to remove all objectionable content. FFA welcomes such User Content as long as the User Content submitted by you complies with these Terms & Conditions. You agree that any User Content that you submit: (i) will be accurate; (ii) will not violate or facilitate the violation of any law or regulation; (iii) will not violate any right of a third party, including copyright, trademark, privacy, or publicity rights; (iv) will not cause injury to any person or entity; and (v) will not contain, or provide links to, obscene, profane, or threatening language, malware, political campaigning, commercial solicitation, chain letters, mass mailings, any form of “spam”, or any material that could be considered harmful, sexually explicit, indecent, lewd, violent, abusive, or degrading. You are solely responsible for the User Content you submit, and FFA assumes no liability for any User Content submitted by you. You acknowledge and agree that we reserve the right (but have no obligation) to do any or all of the following, in our sole discretion: (i) monitor User Content; (ii) alter, remove, or refuse to post or allow to be posted any User Content; and/or (iii) disclose any User Content, and the circumstances surrounding its transmission, to any third party. For any User Content you submit, you grant to FFA a non-exclusive, sub-licensable, fully paid-up, perpetual, irrevocable, royalty-free, transferable right and license to use, display, perform, transmit, copy, modify, delete, adapt, publish, translate, create derivative works from, incorporate the User Content into any form, medium, or technology, now known or hereafter developed, throughout the world, all without compensation to you. For this reason, do not send us any User Content that you do not wish to license to us, including any confidential information or any original creative materials such as stories, product ideas, computer code or original artwork. In addition, you grant to FFA the right, without any obligation, to include the name provided along with the User Content submitted by you. We are not responsible for the use or disclosure of any personal information that you voluntarily disclose in connection with any User Content you submit. You represent and warrant that you have all rights necessary for you to grant the licenses granted in this section. You further irrevocably waive any “moral rights” or other rights with respect to attribution of authorship or integrity of materials regarding User Content that you may have under any applicable law under any legal theory. Content is also provided by third party visitors to the FFA Website. Please note that visitors to the FFA Website may post content that is inaccurate, misleading, or deceptive. FFA neither endorses nor is responsible for any opinion, advice, information, or statements made by third parties. FFA will not be liable for any loss or damage caused by your reliance on such information or materials. The opinions expressed by third parties reflect solely the opinions of the parties who submitted such opinions and may not reflect the opinions of FFA. This website is designed for general educational and information purposes only and does not render medical advice, unless otherwise indicated. The information provided through this website should not be used for diagnosing or treating a health problem or illness. It is not a substitute for professional health care, and is designed to support – not replace – the relationship you have with your health care provider. If you have or suspect you may have a health problem, you should consult your health care provider. FFA does not provide medical advice or offer medical, psychiatric, or professional opinions online. The articles on this site are meant to discuss issues of a general nature regarding issues of interest and our “Ask The Doctor” section is for general informational purposes. While we will monitor content as time allows, we are not responsible for the opinions, advice, recommendations, advertising or suggestions of User Content or any writer of articles. Anyone who has a medical problem should contact a physician. Anyone with a serious addiction problem should get medical or therapeutic help. Anyone who feels at risk for suicide should call 911 immediately. Reliance upon any information found on FFA, any of its licensors, or any affiliates, rests in the user at the user’s own risk. FFA may contain information that you may find explicit or otherwise offensive, erroneous or otherwise inaccurate or outdated. FFA, its affiliates and licensors are not responsible for such content. The user is responsible for complying with applicable laws of the region/country of residence. Live Chat Feature: Please note that when you communicate through the Chat portal, you will be speaking with a third party treatment center, not a Freedom From Addiction representative. Freedom From Addiction is not responsible for communications through the Live Chat. If you have an emergency, call 911. FFA grants you a limited license to access and make personal use of the FFA Website and the Content for NONCOMMERCIAL PURPOSES ONLY and only to the extent such use does not violate these Terms & Conditions including, without limitation, the prohibitions listed in the “UNLAWFUL OR PROHIBITED USES” section of these Terms & Conditions. You may download, print, and copy Content for personal, noncommercial purposes only, provided you do not modify or alter the Content in any way, delete or change any copyright or trademark notice, or violate these Terms & Conditions in any way. Accessing, downloading, printing, posting, storing, or otherwise using the FFA Website or any of the Content for any commercial purpose, whether on behalf of yourself or on behalf of any third party, constitutes a material breach of these Terms & Conditions. Freedom From Addiction and other related marks, design marks, product names, feature names and related logos used in the FFA Website are trademarks of FFA and may not be used, copied or imitated, in whole or in part, without the express prior written permission of FFA. In addition, the look and feel of the FFA Website constitutes the service mark, trademark and/or trade dress of FFA and may not be copied imitated or used, in whole or in part, without the express prior written permission of FFA. FFA’s trademarks and trade dress may not be used in connection with any product or service in any manner that is likely to cause confusion among customers, or in any manner that disparages FFA or suggests a sponsorship, affiliation or endorsement by FFA. All other trademarks, service marks, logos, slogans, domain names and trade names are the properties of their respective owners. (r) remove any copyright, trademark, or other proprietary rights notice from the FFA Website or materials originating from the FFA Website. You may be required to register with FFA in order to access certain services or areas of the FFA Website. If you are required to register with FFA, we may not be able, or we may refuse, to provide you the user name you request. Your user name and password are for your personal use only. If you use the FFA Website, you are responsible for maintaining the confidentiality of your account and password and for restricting access to your computer, and you agree to accept responsibility for all activities that occur under your account or password. In addition to all other rights available to FFA including those set forth in these Terms & Conditions, FFA reserves the right, in its sole discretion, to terminate your account, refuse service to you, or cancel orders. FFA may at any time: (i) modify or discontinue any part of the FFA Website; or (ii) offer opportunities to some or all FFA Website users. FFA reserves the right to make changes to these Terms & Conditions at any time, and such changes will be effective immediately upon being posted on the FFA Website. Each time you use the FFA Website, you should review the current Terms & Conditions. You can determine when these Terms & Conditions were last revised by referring to the “LAST UPDATED” legend at the top of these Terms & Conditions. Your continued use of the FFA Website will indicate your acceptance of the current Terms & Conditions; however, any material change to these Terms & Conditions after your last usage of the FFA Website will not be applied retroactively. Except for such material changes, the Terms & Conditions that were in effect at the time any claim or dispute arose between you and us will be applied. FFA reserves the right, without notice and in its sole discretion, to terminate your account or your use of the FFA Website and to block or prevent future access to and use of the FFA Website (i) if you violate any of these Terms & Conditions, (ii) for any other reason, or (iii) for no reason. Upon any such termination, your right to use the FFA Website will immediately cease. You agree that we shall not be liable to you or any third party for any termination of your access to the FFA Website. Upon termination, all provisions of these Terms & Conditions which are by their nature intended to survive termination, all representations and warranties, all limitations of liability, and all indemnities shall survive such termination. The FFA Website may contain links and interactive functionality interacting with third parties, including social media applications and product manufacturers’ applications. FFA is not responsible for and has no liability for the functionality, actions, inactions, privacy settings, privacy policies, terms, or content of any such application. Before enabling any sharing functions of the FFA Website to communicate with any such application or otherwise visiting any such application, FFA strongly recommends that you review and understand the terms and conditions, privacy policies, settings, and information-sharing functions of each such third party application. The links and interactive functionality for third party applications on the FFA Website do not constitute an endorsement by FFA of such third party application. Other applications may link to the FFA Website with or without our authorization, and we may block any links to or from the applications, in our sole discretion. YOUR USE OF THIRD PARTY APPLICATIONS AND RESOURCES IS AT YOUR OWN RISK. FFA cannot and does not represent or warrant that the FFA Website or its server will be error-free, uninterrupted, free from unauthorized access (including third party hackers or denial of service attacks), or otherwise meet your requirements. The FFA website and all information, content, materials , products, services, and user content included on or otherwise made available to you through the FFA website (collectively, the “FFA website contents”) are provided by FFA on an “as is,” “as available” basis, without representations or warranties of any kind. FFA makes no representations or warranties of any kind, express or implied, as to the operation of the FFA website, the accuracy or completeness of the FFA website contents, or that emails sent from FFA are free of malware or other harmful components. You expressly agree that your use of the FFA website is at your sole risk. FFA will not be liable for any damages of any kind arising from the use of the FFA website or the FFA website contents including, without limitation, direct, indirect, consequential, punitive, and consequential damages, unless otherwise agreed by FFA in writing. To the full extent permitted by law, FFA disclaims any and all representations and warranties with respect to the FFA website and the FFA website contents, whether express or implied, including, without limitation, warranties of title, merchantability, and fitness for a particular purpose or use. If products or services are provided by third parties through the FFA website, those third parties may separately provide limited representations and/or warranties regarding their products or services. This disclaimer does not apply to such product/service representations or warranties, but any such representations or warranties are provided solely by such provider and not by FFA. Third party names, marks, products, advertisements, or services or pop-up texts or links to third party applications may appear on the FFA website. In no event will FFA be liable, directly or indirectly, to anyone for any damage or loss arising from or relating to any use, continued use, or reliance on any advertisement displayed on the FFA website, any products, services, or other materials relating to any such advertisement, any linked third party application, or any link contained in a linked application. If you decide to link to any such third party application, you do so entirely at your own risk. The FFA Website is controlled and operated by FFA from the United States, and is not intended to subject FFA to the laws or jurisdiction of any state, country or territory other than that of the United States. FFA does not represent or warrant that the FFA Website or any part thereof is appropriate or available for use in any particular jurisdiction other than the United States. In choosing to access the FFA Website, you do so on your own initiative and at your own risk, and you are responsible for complying with all local laws, rules and regulations. We may limit the FFA Website’s availability, in whole or in part, to any person, geographic area or jurisdiction we choose, at any time and in our sole discretion. We provide information through the FFA Website for your information and enjoyment. Your use of the FFA Website is strictly voluntary. Because some of the information in the FFA Website may relate to lifestyle modifications, you agree to use your good judgment and reasonable care prior to making any changes to your lifestyle. By using the FFA Website, you assume the risks associated with the activities in which you will be participating. You, and you alone, are solely responsible for taking proper care to limit your risk.You knowingly and voluntarily do hereby indemnify, release, acquit, waive, forever discharge, and covenant not to sue FFA, its employees, agents, any related affiliate and/or subsidiary entities from and against any and all liabilities, costs and expenses (including without limitations, any reasonable fees and expenses of its attorneys and consultants) relating to or arising out of any claims, demands or causes of action of every kind and character (including, without limitation, personal injury and property damage claims) as a result of the information and materials offered by FFA through the FFA Website. Under no circumstances shall FFA or its employees, directors, officers, or agents be liable for any direct or indirect losses or damages arising out of or in connection with your use of or inability to use the FFA website. This is a comprehensive limitation of liability that applies to all losses and damages of any kind (whether general, special, consequential, incidental, exemplary or otherwise, including, without limitation, loss of data, income or profits), whether in contract or tort, even if FFA has been advised of or should have known of the possibility of such damages. Each provision of these terms & conditions that provides for a limitation of liability, disclaimer of warranties, or exclusion of damages is to allocate the risks under the agreement between you and FFA. This allocation is an essential element of the basis of the bargain between you and ffa. The limitations in this section will apply even if any limited remedy fails of its essential purpose(s). If you are dissatisfied with the FFA website, any content on the FFA website, or these terms & conditions, your sole and exclusive remedy is to discontinue using the ffa website. You acknowledge, by your use of the ffa website, that your use of the FFA website is at your sole risk. Applicable law may not allow the limitation of liability set forth above, so this limitation of liability may not apply to you, and you may have rights additional to those contained herein. As a condition of the use of the FFA Website, you agree to defend, indemnify, and hold harmless FFA and its respective employees, directors, officers, agents, vendors, and suppliers from and against any liabilities, losses, investigations, inquiries, claims, suits, damages, costs, and expenses (including, without limitation, reasonable attorneys’ fees and expenses) (each, a “Claim”) arising out of or otherwise relating to your use of the FFA Website, including without limitation any User Content submitted by you and Claims alleging facts that if true would constitute a breach by you of these Terms & Conditions. In the case of notices FFA sends to you, you consent to receive notices and other communications by FFA posting notices on the FFA Website, sending you an email at the email address listed in your profile in your account, or mailing a notice to you at your billing address listed in your profile in your account. You agree that all agreements, notices, disclosures, and other communications that FFA provides to you in accordance with the prior sentence satisfy any legal requirement that such communications be in writing. Notice shall be deemed given (i) 24 hours after the notice is posted on the FFA Website or an electronic message is sent, unless the sending party is notified that the message did not reach the recipient, or (ii) in the case of mailing, three days after the date of mailing. You agree that a printed version of these Terms & Conditions and/or any notice given in electronic form shall be admissible in judicial or administrative proceedings based upon or relating to these Terms & Conditions to the same extent and subject to the same conditions as other business documents and records originally generated and maintained in printed form. 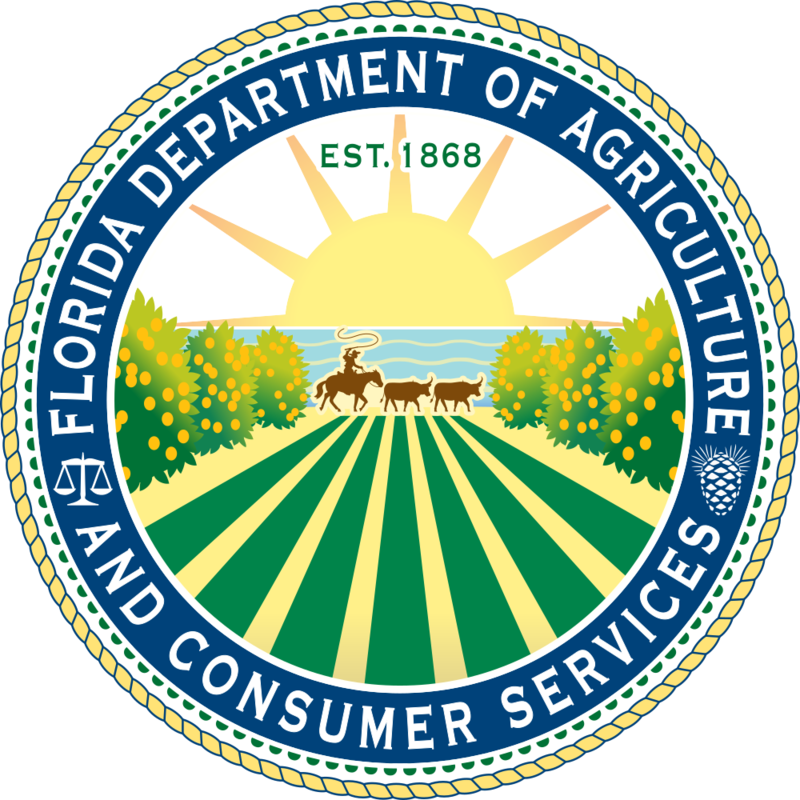 You agree that all matters relating to your access to or use of the FFA website and all matters arising out of or related to these terms & conditions, including all disputes, will be governed by the laws of the state of Florida, united states of America. These Terms & Conditions, including policies and information linked from or incorporated herein, constitute the entire agreement between you and FFA with respect to the FFA Website and supersede all prior or contemporaneous communications, agreements, and proposals with respect to the FFA Website. You may not assign, transfer, or sublicense any of your rights or obligations under these Terms & Conditions without our express prior written consent. We will not be responsible for failure to fulfill any obligation due to causes beyond our control. If you have any concerns about FFA or your use of the FFA Website, please contact us at Privacy & Terms with a detailed description, and we will try to resolve it.